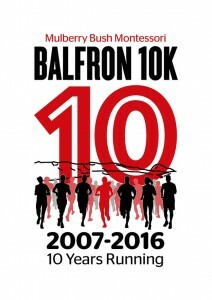 Apart from being a great wee run, the Balfron 10k raises funds for Balfron schools and local charities. We also support the schools with their own races and encourage sports participation. The race, which starts and finishes at Balfron Campus, takes you through the centre of Balfron and then on an out and back route through the beautiful Stirlingshire countryside. Open to runners of all abilities, aged over 15 years, it will be run under a Scottish Athletics permit. Balfron is in rural Stirlingshire, within easy reach of Glasgow and Edinburgh. The Balfron 10k has always been environmentally aware. Every year we clean up the race route, before and after the race, and diligently recycle all that we can. This year, we are going further, and aim to reduce single use plastic and wastage where we can. Please join us, use the recycling bins and make greener choices. Keep in touch with our email newsletter. We promise not to spam you or sell your details and, of course, you can unsubscribe at any time.